Artesania Latina's 1/50 Scale SAN FRANCISCO II GALLEON Cross Section is an incredible 'slice' of the Spanish galleon model from the XVI Century. Galleons were the most powerful ships of the time and backbone of Spanish maritime power during the sixteenth and seventeenth centuries. The galleons appeared towards the middle of the XVI Century, thus forming the main nucleus of the Spanish Armada. For almost one hundred and fifty years, the boats were par excellence, thanks to their combination of great transport capacity and firepower. These ships were ideal for the long oceanic voyages between Spain and the Indies. 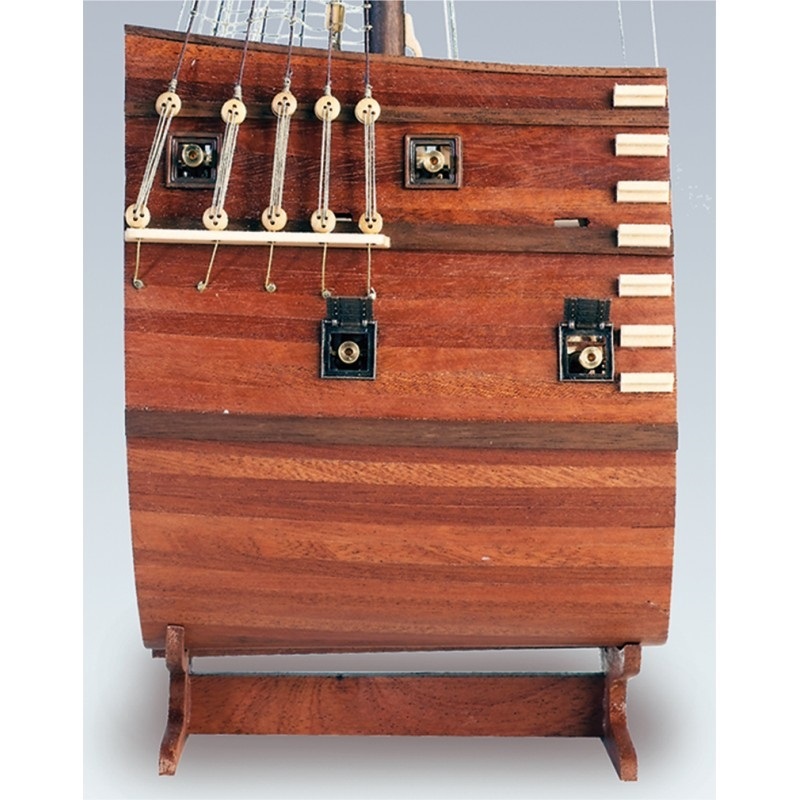 Guided by the detailed instructions (included), you will be able to complete your miniature version of this historic vessel; which features a false keel, framework and exposed triple decks, that are true to the construction of the actual ship. Full color guide with step-by-step instructions in seven languages.